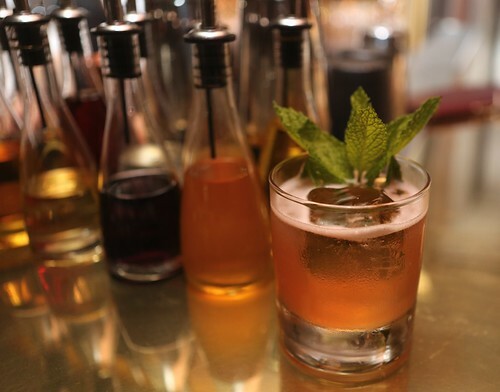 The Joy of Drinking: Gaspar Opens New Cognac Room as Johnny Codd's Next Project: 50 Brandy Cocktails, Oh My! Gaspar Opens New Cognac Room as Johnny Codd's Next Project: 50 Brandy Cocktails, Oh My! After the untimely closing of The Coachman, many have been wondering what the former bar manager Johnny Codd would do next. Well, today Johnny opens a new bar program in San Francisco called The Cognac Room at Gaspar’s glittering upstairs bar. While Johnny is known for his creative execution (like deconstructed Sazeracs made from Peychaud ice cups, blended negronis, or Campari ice cream made to order at the bar), with The Cognac Room he is also establishing a track record in taking classic drinks and creating balanced renditions using modern techniques, something he first did at The Coachman. The Cognac Room is going beyond its namesake spirit to bring to the fore a multitude of brandy cocktails from throughout the decades. When many people think of brandy, the first think of brands like Christian Brothers that were popular in the 70s and 80s. The Cognac Room, however, is (thankfully) taking a much broader approach to brandy. Brandy is a category comprised of any spirit distilled from wine, pomace, or fruit. This includes a host of other spirits like grappa (distilled from grapes), pisco (a Peruvian spirit distilled from grape wine), and eau de vie (an unaged spirit distilled from fruit). Gaspar's downstairs bar will still service the restaurant with classic cocktails. Shown here with bar manager Greg. To celebrate these many spirits, Johnny is bringing a whopping 50-odd drinks to the menu. The menu breaks down into "house cocktails" (eight cocktails), cognac (nine cocktails), armagnac (seven cocktails), calvados (seven cocktails), brandy (nine cocktails), pisco (eight cocktails) and eau de vie and grappa (four cocktails). All cocktails are $12. 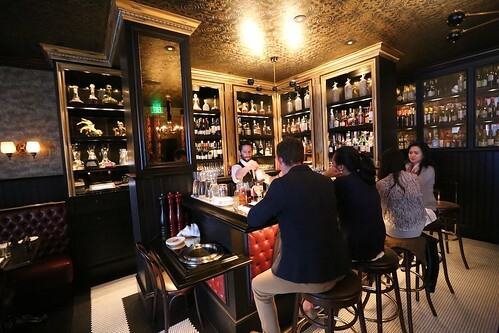 The focus is primarily on the cocktails, but flights of each type of spirit will also be offered, bolstered by a growing backbar of brandies sourced from Charles Neal and others—a collection curated by General Manager John Allen. 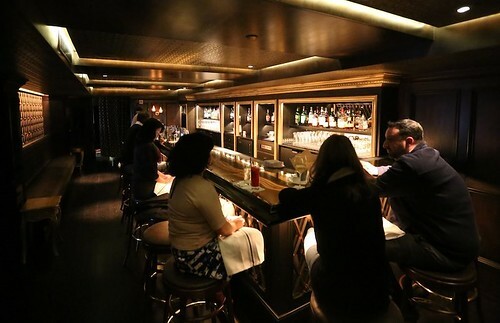 Gaspar is already a popular happy hour spot, especially among FiDi workers, and the Cognac Room will offer a happy hour menu Monday through Friday 4pm-6pm with a short list of $6- and $7-cocktails, wines, and bar bites. Creating a menu of 50 brandy drinks is a tall order (pun unintended), so for inspiration Johnny reached into the historical bedrock of cocktails. He took and refined recipes from The Savoy Cocktail Book (an influential London bar in the 1930s), cocktail forefather Charles H Baker best known for The Gentleman’s Companion in the 1940s, Cooling Cups and Dainty Drinks from 1869, and Jones Complete Bar Guide (1977), just to name a few. 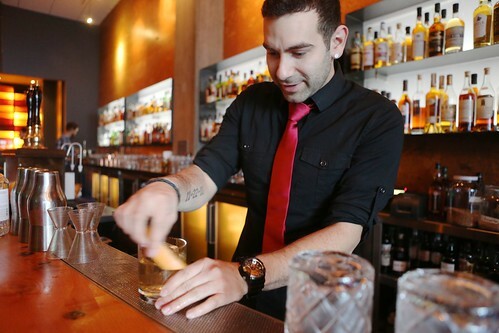 Johnny tweaks the classic brandy crusta (often made with cognac) by mixing together armagnac, cointreau (orange liqueur), lemon, maraschino liqueur, and angostura bitters. The cocktail itself contains no sugar and is quite dry, if refreshing, so the drink's cup is often coated in sugar. 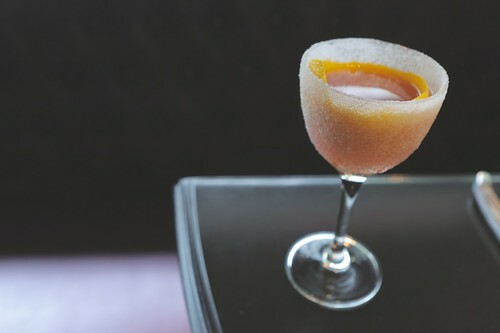 At places like Bar Agricole, you'll find this as bakers sugar dusted inside of the glass. Johnny chose to encrust the outside of his glass with granulated sugar because it looks beautiful and because the Gentleman's Companion includes an illustration of the sugar dusting on the outside of the glass. The result is a visually stunning drink that sparkles like diamonds. This cup is one of the few cocktails that includes red wine, and boy is it delicious. Johnny mixes red wine, brandy, raspberry eau de vie, grenadine, lemon, and seltzer for his claret cup. Served tall and long over crushed ice, this super refreshing drink is tart without being puckering. A generous bouquet of mint garnish forces your nose into the leaves as you take sip, so that you smell the mint as you drink. 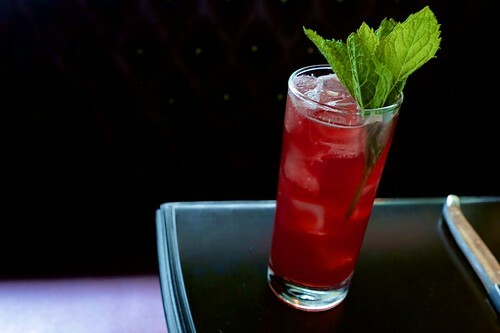 With bold raspberry notes, the drink will put you right on a grassy lawn on a summer's day. 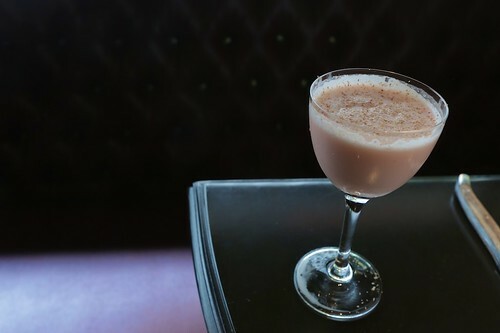 This drink is a refined almond joy in a cup. It includes cognac, Creme de Nayoux (almond), Creme de Cacao, cream, and nutmeg. The almond and chocolate fluff together nicely with the cream to make a worthy dessert cocktail, light like a good tiramisu. Served on a handsome, large cut of ice, the Pineapple Apricot Tropical includes pisco, lime, pineapple gum syrup, orchard apricot, and angostura bitters. It's a tangy, refreshing drink, slow and viscous. Originally from Charles H Baker. A bar classic, the Pimm's Cup includes Pimm's No. 1, brandy, lemon, ginger, cucumber, mint, and seltzer. The No. 3 indicates that the recipe calls for brandy—opposed to the No. 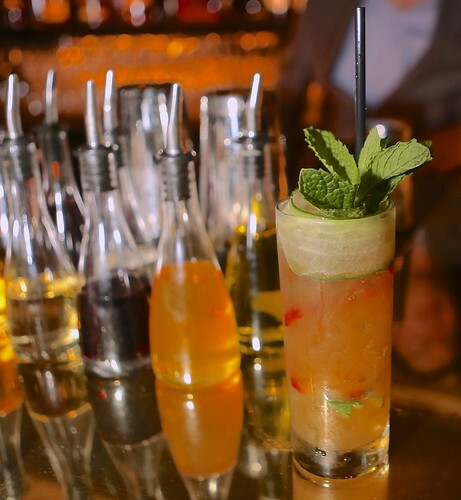 1 which uses Pimm's as the sole main spirit, the No. 2 that uses scotch, the No. 4 that uses rum, and the list goes on. Open for lunch Mon-Fri, 11:30am-3pm. Bar menu starts at 3pm. Happy hour Mon-Fri, 4pm-6pm. Open for dinner Sun-Wed 5pm-10:30pm, Thurs-Sat 5pm-11pm. Now I can't wait to try their great cocktails of all time. They always have given us the yummy food. Now coming with the great cocktail collections.